The sub continent of India is proud to be associated with numerous religions, cultures and languages. As people of various religion and culture stay harmoniously in the same country, the presence of many Gods and goddesses are worshipped here. 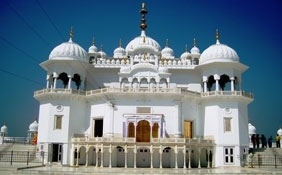 To offer them worship, there are many Best Pilgrimage & Religious Sites in India. Pilgrims from all the corners of the world come to visit the range of Top Pilgrimage & Religious Sites in the country. 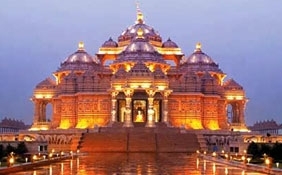 India Pilgrimage & Religious Sites are considered to be the most holy places in the world. A visit to these sacred places not only purifies your mind and soul, but also rids you of your worries and troubles. 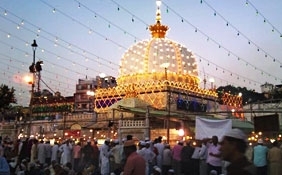 Ajmer, Akshardham, Allahabad, Amarnath, Amritsar Sahib and Anandpur Sahib are some of the famous Pilgrimage & Religious Sites in India. 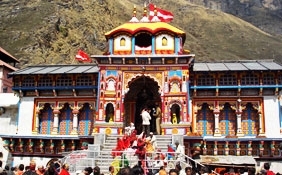 The Pilgrimage & Religious Sites like Badrinath in Uttrakhand, Bhubaneswar, Bodhgaya, Chidambaram, Chitrakoot, Damdama Sahib, Dwarka and Ganapatipule are frequently visited by the tourists and pilgrims. 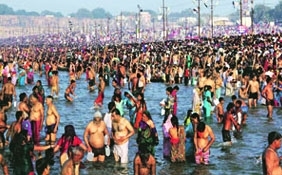 The religious people of India have also set up temples and other religious institutions at Goa, Kanyakumari, Kapilavastu, Kaushambi, Kedarnath, Konark, Kushinagar, Lumbini, Madurai, Mahabalipuram Manikaran and Mathura. Gangotri, Yamnotri and Haridwar are some of the sacred places from where people collect holy waters of Ganga, Jamuna and Saraswati River. The Jagnnath temple at Puri, Meenakshi temple, Tirupati at south India, Shirdi near Mumbai, Varanasi Ghat and Vrindavan are also considered sacred worldwide. Devotees travel from far and wide and reach these Pilgrimage & Religious Sites to offer their reverances. They keep fast, bring flowers, offer bhog and stand in the long queue to get the prashad. These pilgrim spots have now become great tourist spots. A range of shops selling numerous attractive items have been established near these temples and shrines. Apart from being a religious site, these places have also become top shopping centers for the tourists. You can buy idols, the statues of Gods and goddesses and other local handicrafts at these places. 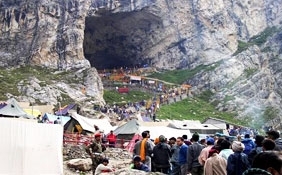 Other popular Pilgrimage & Religious Sites in India include Puttaparthi, Rajgir, Rameshwaram, Ranakpur, Rishikesh, Sarnath, Shravasti, Sravanabelagola, Thanjavur, Vaishali and Vaishno devi. Take part in the Hola Mohalla.